Working mindfully, gardeners can help save biodiversity!Nature delights by changing every day, by surprising us with her own decisions, which can be so much more pleasing than what we plan ourselves. Welcome nature into your space. 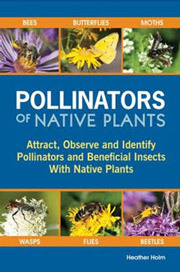 Provide food and water for wildlife - nectar plants for insects, butterflies and hummingbirds, and native plants with the foliage that specialized insects can digest. Grow berries rich in lipids that will fuel migrants on their long journey and make a pond or, if you don't have the space, keep containers filled for thirsty creatures at ground level and higher up. Provide shelter from weather and predators, and places to raise young. This means trees and shrubs. Different birds nest at different levels, so make a diversity of habitats. And don't be too tidy. Leaving leaf litter below trees and shrubs will encourage organisms that enrich the soil and are the building blocks of the food chain in your garden. A pile of stones here, a pile of brush there, will offer sanctuary to snakes and other shy creatures that you will rarely see. If you do these things, your garden will become an endless source of interest. And you'll have less work if you use native plants because they don't need fertilizer or watering and are more resistant to pests. I don't advocate using only natives – we all have our favourite 'exotics,' from peonies to pansies, and many can play a role in a wildlife garden. But the natives are worth emphasizing. Having long been part of this ecosystem, they play host to a multiplicity of species, while the newcomers only support a handful. If gardeners make it their mission to foster life, our backyards will become a vital corridor snaking through cities and towns. We will recreate and nurture diversity. A rare beetle may live its life under a rotting log, weary birds or butterflies travelling from one end of the continent to the other may find a desperately needed way station. Douglas Tallamy, professor and chair of entomolygy and wildlife ecology at the University of Delaware, sums it up this way in his book Bringing Nature Home: "For the first time in its history, gardening has taken on a role that transcends the needs of the gardener. Like it or not, gardeners have become important players in the management of our nation's wildlife." This website is about allowing nature to happen around you. I do a regular blog on my garden and places I visit. 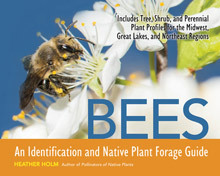 There's information about the native plants I have for sale, and about invasive species that threaten our wilderness areas. I hope you find this site helpful and fun.